Marijuana is the most commonly used illegal drug in the U.S. It’s what gets produced when someone takes the hemp plant and grounds up the leaves, stems, flowers, and seeds. The active ingredient in marijuana is a chemical called THC, but it also contains over 400 other chemicals! It’s usually brown, green, or grayish in color, and has a very noticeable smell. Marijuana is usually smoked and sometimes eaten. No matter what you’ve heard, police officers, judges, and government leaders take marijuana very seriously, and the consequences of getting caught with it can be very tough. 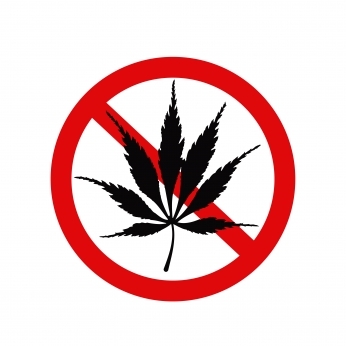 Like alcohol, marijuana affects a person’s judgment and slows down reflexes, making it very dangerous, and also illegal, to drive a car while under its influence. While most doctors and scientists don’t consider marijuana physically addictive, it can still be habit forming because users get used to being on the drug. Marijuana can rob people of energy and ambition, meaning that they will be less likely to succeed and make something out of their lives. The classic “pothead” doesn’t really want to do much more than get more pot!